Even though Spielberg's iconic 1975 film broke box office records and is credited as inventing the summer blockbuster, most of us have only seen the movie chopped and cropped as a TV rerun. And if you haven't watched it in a while, its worth a see—if only for the sartorial inspiration. Thankfully, Universal is releasing a restored and remastered Jaws on Blu-ray this summer to commemorate the studio's centennial anniversary. Which means you'll be able to enjoy the masculine nautical style in sharp, digital detail. From salt-washed denim and Baracuta jackets to boat shoes and rugged dive watches, they're the kind of timeless seaside staples that look just as good now as they did back then. 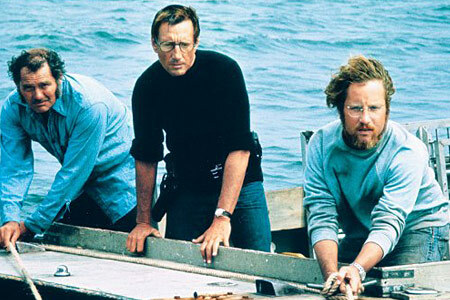 The remastered Jaws will be released on August 14, 2012 and is available for pre-order now.